Meet Tim, House's new in-house draftsman. Hiring Tim allows House, Inc. to close the loop to become a true design-build company. With Tim's design and architectural degree, House Inc. no longer needs a design partnership. It's all in-house now. Furthermore, having Tim on board makes House, Inc. one of the only (if not the only) true design-build companies in the valley. 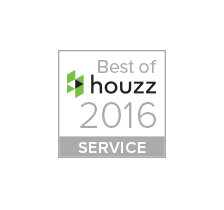 No one else truly has in-house design capabilities or has truly embraced design in the way House, Inc. has. On that note, join us in getting to know Tim. He brings a lot to the table and we are very excited to have him on our in-house team. Us: Before working at House, Inc., what was the most unusual or interesting job you’ve ever had? Us: How did you first learn about House, Inc.? On the Internet, I stumbled across it searching for Design Build. What is your role at House, Inc.
Work incredible amount of hours to complete a deadline. What advice do you have for prospective House, Inc. candidates? What are 3 words to describe House, Inc.? What do you find the most challenging at House, Inc.? What do you like most about House, Inc.? What drew you to House, Inc. originally? And how has House, Inc. changed since? The design-build philosophy drove me to interview with House Inc. Chris has been very open to new ideas and streamlining his business through Construction Management technology and software. I hope the building industry keeps growing, with the technology to make it more efficient. What do you hope to happen with House, Inc. over the next 10 years? House Inc. will be the intellectual choice for design solutions. What is the favorite part about working for House, Inc.? Click here to check out what other projects we have been working on. Pick a style that is unique and fits in your home.